Mayor Rick Kriseman and Captain Franz Glenn Warner, Jr.
of the Tampa Fire Department. The funds raised directly benefit local nonprofit organizations that provide valuable services to injured or fallen veterans, police, and first-responders, including the Gold Shield Foundation, Special Operations Warrior Foundation, Stay in Step Spinal Cord Injury Recovery Center, Warrior2Warrior R.A.C.E. 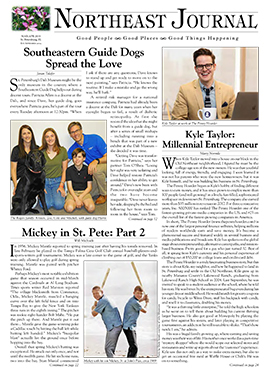 to Resiliency, Paws for Patriots at Southeastern Guide Dogs, Warrior Sailing Program, and C.O.P.S. (Concerns of Police Survivors West Central Florida Chapter). The idea for RHS came after Jo and her late fiancée, John Stross, co-owner of Leverock’s Seafood, helped a friend and group of women organize a 10th anniversary 9/11 prayer breakfast. That was in 2011. “John and I were so touched with the event that afterward, we looked at each and said, ‘let’s do this and kick it up a notch,’” Jo recalls. The two formed a nonprofit organization, added a board of directors, and an advisory board of first responders, military, and community leaders. They also began planning fundraising events. 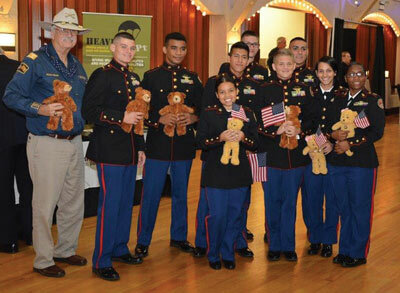 The inaugural RHS-sponsored Patriot Day Memorial Breakfast was held in 2012 at the Vinoy and raised $70,000, a significant start for a fledging organization. Each year since has brought a bigger crowd of attendees and notable guest speakers. 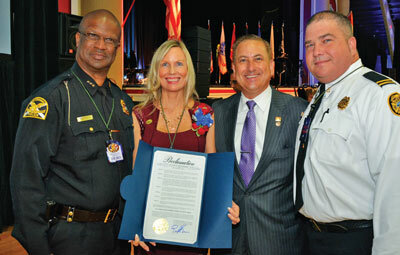 This year’s event – held on Tuesday, September 11 at the Coliseum – was one of the largest so far. The guest speaker was retired Master Sergeant Scott Neil, a Special Forces veteran whose story of going into Afghanistan after 9/11 was retold in the movie 12 Strong and the documentary Legion of Brothers. Neil is also a local St. Pete resident and co-founder of St. Pete’s new American Freedom Distillery with three fellow Green Berets. Chamberlain High School with donated teddy bears. John passed away in 2014 following a battle with leukemia, but Jo says she is more committed than ever to continue his legacy and support for philanthropy. Last year, RHS launched the Ride 4 RHS Heroes, a new bi-annual fundraising event held on Memorial Day and Veterans Day in which participants ride the Pinellas Trail to raise funds. Jo is also working on getting a nationally recognized First Responder Appreciation Week from September 11-17.